In the United States, the Centers for Disease Control and Prevention (CDC) held a press conference to discuss a recent survey, which found that rates of HPV vaccine coverage did not reach the 80% target. This in itself is not a surprise given the vaccination levels of previous years. US officials’ struggle to raise HPV vaccination rates parallels their struggle to raise rates of influenza vaccine uptake among healthy young people. In both cases, health officials seem to have difficulty in convincing much of the public about the urgency of the vaccine. I cannot help but wonder how much of this apparent disconnection—between officials and those they seek to serve—is explained by different perceptions about the danger of the diseases, and inherent difficulties in assessing the benefits of the intervention. Cervical cancer morbidity and mortality remains dwarfed by cancers of the lung, breast, and prostate; the societal conversation on cervical cancer has arguably been fueled far more by the vaccine’s availability than the disease itself. When people themselves do not fear a disease, they are less likely to respond to those offering solutions. Related to this is the difficulty of assessing benefits. It is generally only when the benefits are not apparent, tangible, and dramatic that one needs a randomized trial or other large study to estimate effects. For me, de Quadros’s ability to engage with communities is not the only interesting aspect of this story. It is also that his major accomplishments were against diseases that—compared to HPV and influenza—were dramatic. Smallpox and polio had the attention of the public. And the vaccines against them were—while not without issue—the key intervention leading to the diseases’ eradication or control. 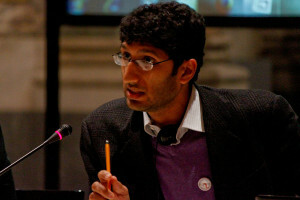 Peter Doshi is an associate editor for The BMJ.